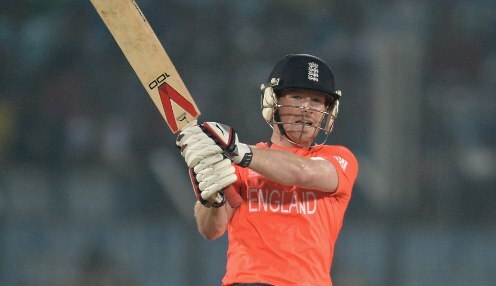 Skipper Eoin Morgan is confident that there is more to come from England after they won a rain-affected second ODI against Sri Lanka in Dambulla. Having seen the series opener abandoned after just 15 overs of play, the tourists were able to dodge the rain for just long enough to secure a win by 31 runs under the DLS Method. I would like to think we have a few more gears. Morgan led the way with 92 from 91 balls as England made 278-9 from their 50 overs, with Joe Root compiling a confident 71, while veteran seamer Lasith Malinga finished with figures of 5-44. In reply the Islanders were 140-5 after 29 overs when the heavens opened, with Chris Woakes taking three wickets and Olly Stone claiming a first international scalp by removing Niroshan Dickwella. Afterwards, Morgan announced himself satisfied with the result, but wanting much more from the performance next time out. He told Sky Sports: "It was not a bad start to the series. We have had a halted start in training and the first game with the rain. "I wouldn't say it was our best game. The batting managed to scrape something together. We should have gone past a par score, but ended up scraping to it. "I would have liked us to kick on towards 300, but Sri Lanka came back into the game beautifully. "I would like to think we have a few more gears. Today we have done enough to get a win, but we won't be that satisfied with the performance." Meanwhile, England are 1.071 to win the upcoming Test series in Sri Lanka, with the hosts priced at 15.00 and a drawn series available at 15.00.